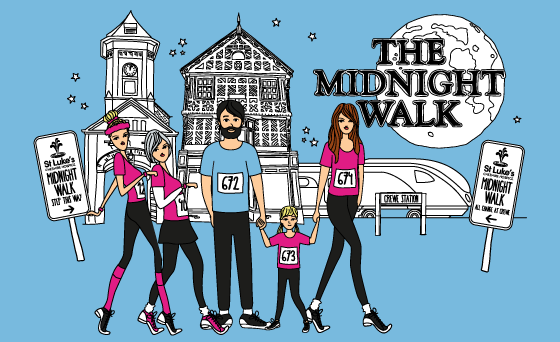 About the Midnight Walk – All Change at Crewe! 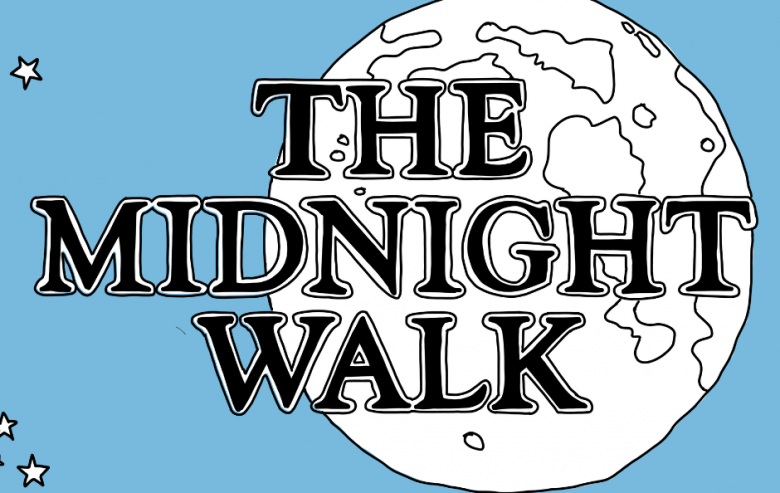 The Midnight Walk is a 6 mile (mini-moon) or (just over) 10 mile (full moon) challenge through the streets of Crewe and Nantwich. With the base at Reaseheath College, you will begin and end your Midnight Walk journey in beautiful surroundings alongside St Luke’s supporters from all across Cheshire. 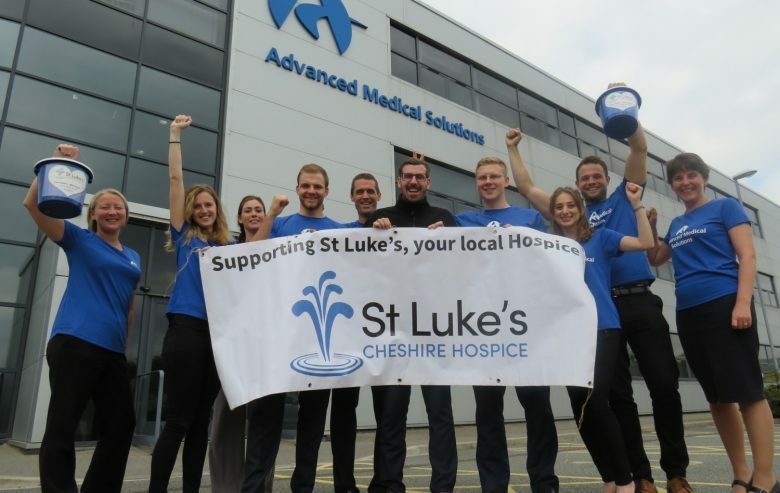 Whether you are a seasoned Walker or taking part for the first time, the Midnight Walk is empowering, inspiring and an unforgettable way to raise money for St Luke’s. Whether you are remembering a loved one or walking for those being cared for today, every Walker will make a difference. This year our fundraising target this year is £140,000 which would fund an incredible 940 nurses shifts on the Inpatient Unit. Each shift costs £149.04 and each hour of nursing care £31.04, so when you walk and raise money you help us move one step closer to this target. This year we have made some changes to the walk which we hope you like! Halfway Point – Crewe Railway Station will be our new half way turnaround point. Here there will be water, bananas and chocolate and you will have access to the toilets on the platform. There will also be entertainment at this point to keep your spirits up! Distance – This means the full moon walk will now be a little shorter at just over 10 miles – still a challenge! Time – We will be starting the walk at 10pm – yes 10pm! Shorter Distance – Don’t forget, there is always the option of the shorter route at 6 miles. If you’re feeling full of energy on the night and decide to do the full route, no problem! Younger participants – Each year we are seeing more “mini me’s” register with their family members – they get to stay up late and eat chocolate -what’s not to love? We love the youngsters and they tell us they love being included, so we’re encouraging more! Men – This year we are opening our walk up to men so it really is all inclusive! So it really is All Change at Crewe! Registration this year will be £17 per person. We encourage you to pick your T-shirt up from the Hospice, but we know that isn’t always possible, so there’ll be a small charge at the time of registering for us to post it out to you. Your entry fee includes access to the Walk, entertainment, a Midnight Walk t-shirt, security along the route, plus the best brew and bacon butty you’ll ever taste when you cross the finish line! Raising money through sponsorship is really easy thanks to online platforms like JustGiving. You could set your target to fund one or a number of nurses shifts so your friends know exactly how their support will make a difference. Please take a moment to read the Terms and Conditions before you register, should you have any questions about the event please contact Debra on 01606 555685. If you are wondering where the 6 and 10 mile challenge will take you, here is a map of the route.